Welcome to the Welch High School (WHS) Alumni Web Site. It is composed by and for former students who attended school On the Hill in Welch, West Virginia. Reunion news and 100s of pictures are posted on these web pages. Also, there is a page listing the names of deceased alumni by school year. Be sure to stop by and view the postings in the guestbook and, while you are there, please take a minute to sign in yourself. Looking for information about your specific class? Try the WHS search engine. The search engine and the missing persons pages are excellent sources for locating former classmates. If you have given up on replacing that annual you lost somewhere along the way, check the Yearbooks on CD page. The Message Board provides a place where you can chat with former classmates, announce upcoming events, provide links to pictures you have posted online, and share other personal information. 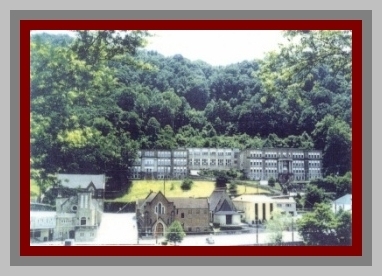 Click HERE to read about McDowell Mission, Inc.'s acquisition of the buildings that formerly housed our dear school On the Hill. Also, check the Other Links page for additional Welch, McDowell County, and West Virginia web pages that may be of interest to you. A Maroon Wave catalog is available where you can order WHS T-shirts, mugs and mouse pads. Looking for other Welch/McDowell County-related gift ideas? Click HERE. Click HERE to read about the conception of this web site.